Many people wonder how to get a low interest credit card because all they have ever heard is that credit cards have high interest rates and consumers should never carry a balance on them over the end of the month. This is true for the majority of credit cards. But there are new products on the market that lenders are offering their best customers. In effect this is a line of credit at a lower interest rate that can be used just like a credit card. Sometimes these cards will come with an annual fee. Also a number of benefits that consumers may find interesting. These benefits can include such things as travel insurance, rental car insurance, health insurance. Also purchase insurance and points that add up over time that you can use to purchase various things. These points can be used to purchase travel trips, and make hotel reservations. As well as purchase various goods that they will offer via an online catalog. The trick as always is to make sure that you always pay the full balance at the end of the month to avoid paying interest. Sometimes we receive offers in the mail from credit card companies that tell us we are pre-approved for their card. All we have to do is fill in the card application and sign on the dotted line to apply. This is the point where you really need to pay attention to the offer and the fine print. 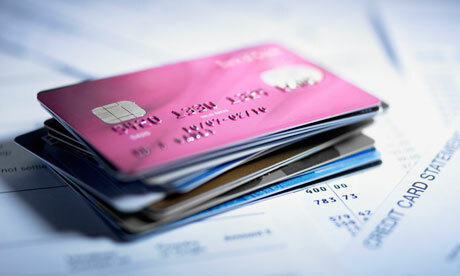 Some of these low interest credit cards come with low interest rates for a short period of time. Such as six months and then they go back to the prevailing rate for credit cards which can be around the 18 or 10% range. Store credit cards can be even higher at 28% on unpaid balances. The attraction of course is the low interest rate. There are other advantages that many cards use to sweeten the pot and entice customers to apply for their card. These include the benefits that we discussed at the beginning of this post. When you fill in the application for a pre-approved credit card, one wonders is it really pre-approved or will they run you through a second evaluation and then accept some and reject others. Our suspicion is that yes they do review your application, your credit rating, and your work history and income level and then decide to approve the card. Pre-approval means that you are approved for the low interest credit card subject to a final review of all of the information provided to them via the application. There are other ways that answer the question, how to get a low interest credit card. If you have not received something in the mail, consumers can apply on line for a credit card. A simple search for this term turns up all kinds of credit card companies willing to provide you with free credit cards at low interest rates, some with an annual fee and some without a fee. As writers we are concerned about these applications and that you have to provide all of your personal information to what is essentially an unknown source. This could be an attempt to gather information to be used for other purposes than a credit card application. We suggest that readers be very careful about who they provide information to and how it is being used. For the record this site does not collect any personal information about any of our readers. Protect your credit card when you are using it. Always know where it is and only use it at reputable locations. In fact never let your credit card out of your site. Use the pin whenever you can to avoid theft of your number and personal information. There are many people out there these days trying to gain personal information they can use to make money. Apply for a low interest credit card only on recognized sites. Or go to your local bank or financial institution to ensure that your personal information will be properly safeguarded. The best way to have a low interest credit card is to not use one at all or pay the balance off each month!